Local Lawn Service and Landscaping Contractor offers Grub Control for Clear Spring MD area lawns as part of our lawn care treatment program that care for your lawn all season long. Is your lawn protected from grubs and the damage the grubs can do to your lawn? Grosh's Lawn Service offers residenatil and commercial lawn care treatments to the Washington County Maryland area. We believe that the best protection for your lawn and my lawn is grub preventer. Yes we use grub preventer on our lawn and our family members lawns as we do not want to risk the chance of having grubs in our lawns or attracting the raccoons, opossums, skunks or birds that prey on grubs. 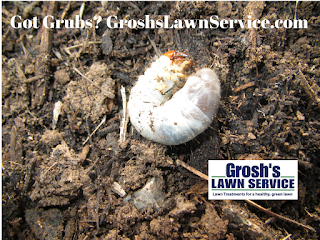 So why gamble on getting grubs when you can have the piece of mind knowing that your lawn is protected from grubs with Grosh's Lawn Service lawn care treatment program. 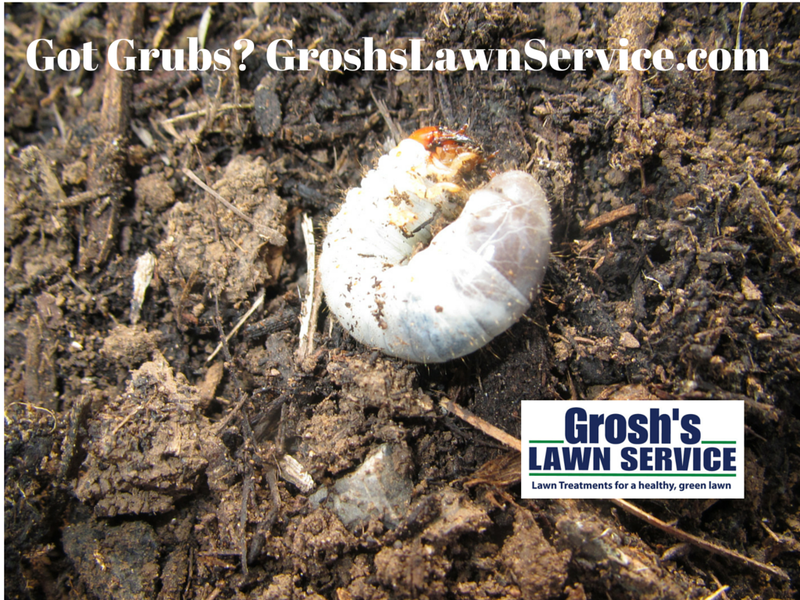 Contact Tom today at GroshsLawnService.com to schedule grub preventer as part of your lawn care treatment program. Health Care For Your Lawn with Grosh's Lawn Service.